Mangalagiri people are weaving amazing Sarees, that you could not find in any multiplex shopping malls any where in India. 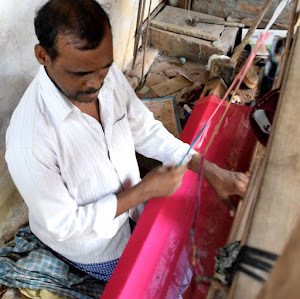 this guy Koteswarao is doing tremendous job every day since 1987, I am getting surprise while he is making such a beautiful color combinations to a Saree without having any educational background. I never find such a beautiful color combination as well design patterns in any shopping malls in India. Hope you can find these type of people around your village and they do wonder full designs. 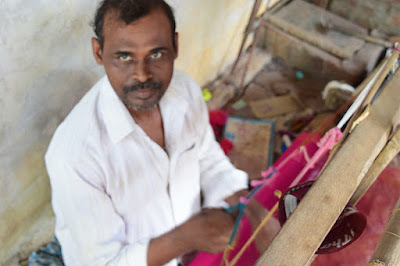 these people are impecunious entire life, Even they wont left their traditional weaving work. 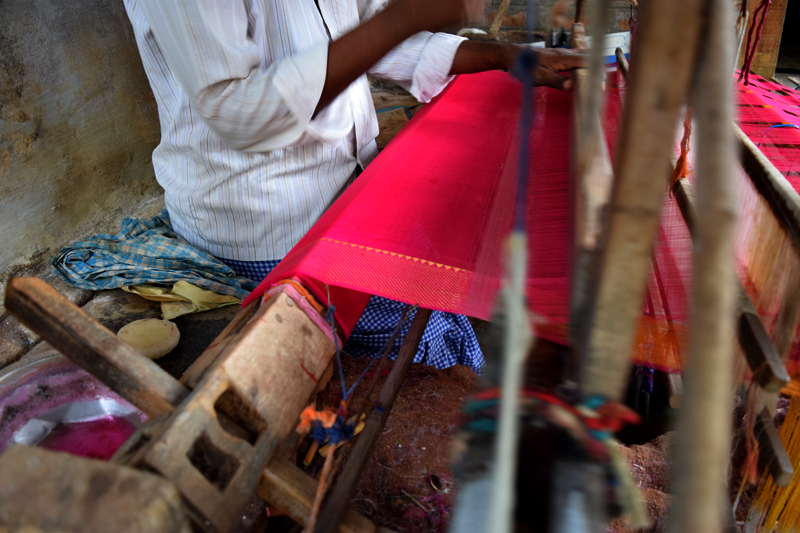 Please encourage hand loom weavers, hand loom garments and buy at least one Saree per year for you or for your grand mother or as gift to your fiends.